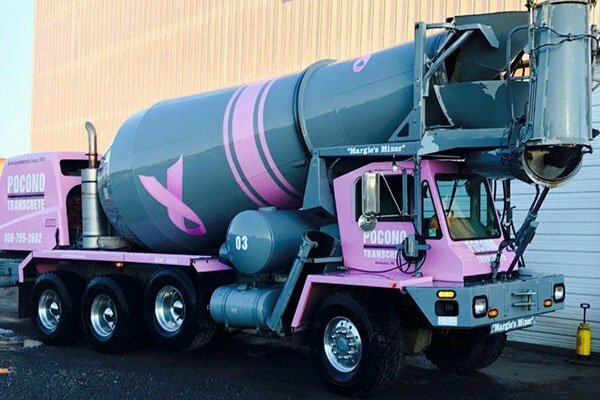 Pocono Transcrete is a trusted ready-mixed concrete supplier in Blakeslee, PA. We provide top-quality ready-mixed concrete products to residential and commercial customers within 14 counties in Northeaster PA, Western NJ and Southeast NY. For over 50 years, we have maintained our great customer service and the same brand of excellence that we are known for. Our company owner, John J. Chaya, founded Pocono Transcrete in 1964 with a simple mission of supplying the rapidly growing housing market in the Pocono Mountain region with quality ready-mixed concrete products. John steadily expanded the business with hard work, strong determination, and outstanding customer service. 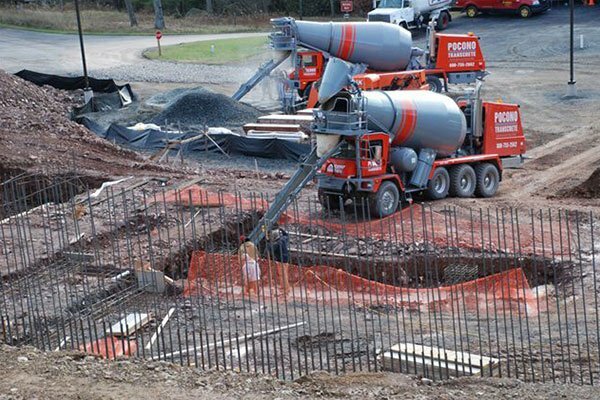 From a single location in Blakeslee, PA, our business grew to include six ready-mixed concrete plants as well as two sand and gravel locations throughout Northeastern Pennsylvania. Our company’s size may have changed, but the tradition of excellence lives on in our family-owned and -operated business. At Pocono Transcrete, we produce high-quality ready-mixed concrete in a wide variety of mix designs as well as custom mixes built to your exact specifications. Our Pittston, PA plant was purchased in 2008 and upgraded to the only regularly operating central mix plant in the Wyoming Valley as of 2018. It gives us the ability to tackle large projects with great consistency and timeliness. With a fleet of more than 30 modern, well-maintained trucks, we service industrial, commercial, and residential jobsites throughout 14 counties in Northeast Pennsylvania and Western New Jersey. Our technical services team has the knowledge and expertise to ensure that our customers receive the highest-quality and most consistent product possible. Ensure that your construction projects are completed with excellent results when you turn to Pocono Transcrete. As a reliable ready-mixed concrete supplier, we will work with you to get the job done within your requirements and time frame. Feel free to contact us to let us know how we can be of help to you.